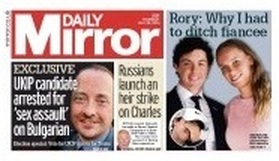 The Mirror ran no campaign stories on the front, limiting outside coverage to three puffs - one relating to a Ukip candidate's arrest and the other two leading to the results of the two polls. 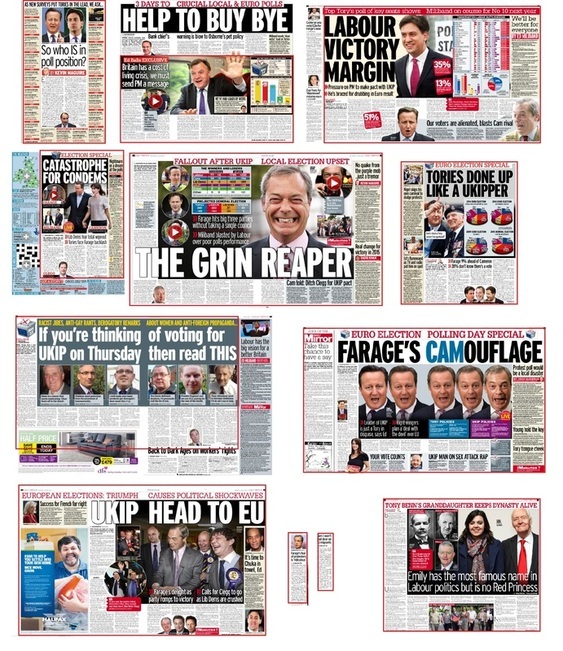 As might be expected, the Mirror gave more emphasis to Labour than the other papers. Its interviews with Ed Balls and Yvette Cooper both at least embraced the elections rather than looking full on at next year's big event. The feature on Tony Benn's granddaughter Emily becoming the latest of the dynasty to enter politics - she stood in the local elections - was a nice touch. There were other references, too, to the locals as well as Europe, and at least an attempt was made to address some policy issues. 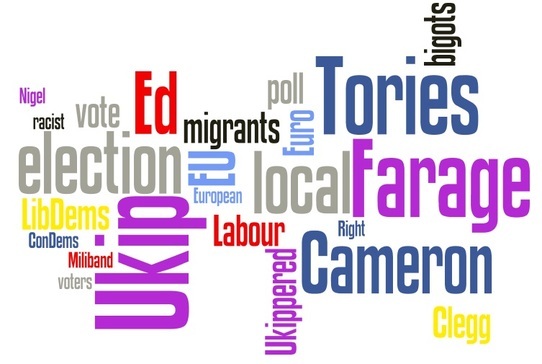 Ukip nevertheless dominated as it did elsewhere, and the Greens were again nowhere. 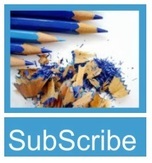 Kevin Maguiire commented on the elections not only in his weekly Monday column, but also alongside various news stories. Paul Routledge announced that he was unashamedly calling on readers to vote for "my party" - Labour - saying that what happened this time round would influence the result of the general election next year. 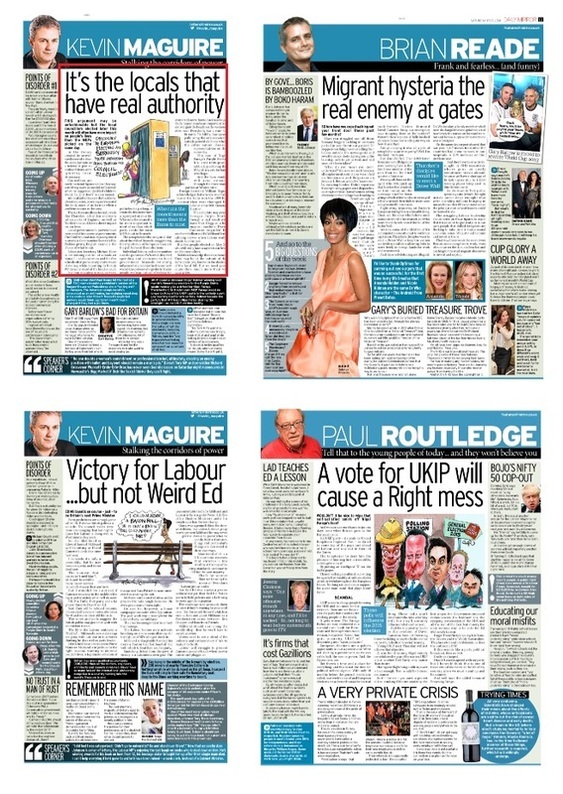 The paper ran half a dozen leaders and there was a strong thread across the comment pages urging people to use their vote. These polls won't determine who rules after May 2015, but they'll certainly influence what comes next. And the top priority has to be the eviction of David Cameron from 10 Downing Street ...Voting Ukip next Thursday will not achieve that objective. A win for Grinning Nigel simply consolidates the grip of the nasties. Ukip is just another Tory party, only nastier than its sire. Having one rightwing outfit in power is bad enough. Two would be beyond endurance. The longer this election campaign has gone on, the more we've learned about an unpleasant party that has in its ranks a disturbing number of incompetents, bigots and racists.